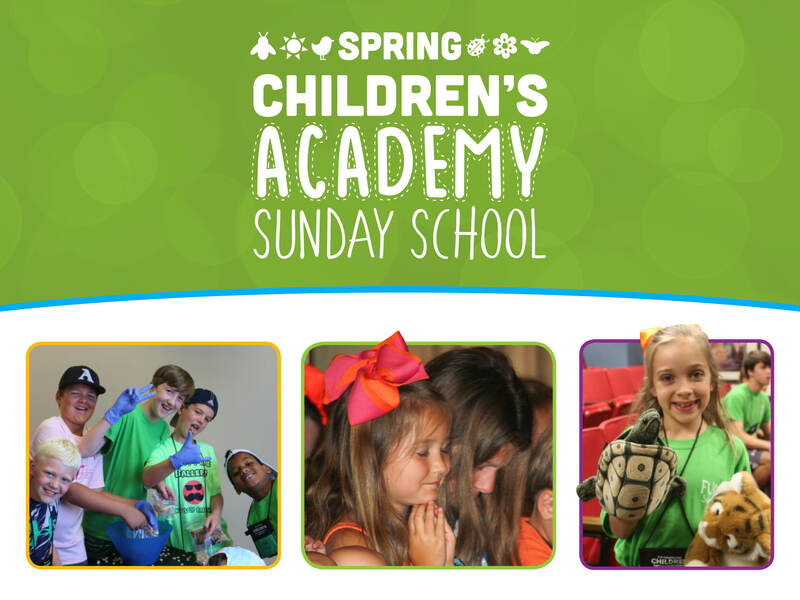 Each Fall and Spring we begin a new semester of our super-fun and content-rich Children’s Academy Sunday School for children in Kindergarten through 5th Grade. Once enrolled in Academy classes, children will stay in the same rooms with the same teachers all semester. Some classes are designed for younger elementary (K – 1st) and some for older elementary (2nd – 4th). 5th Grade has its own class, called High Five. While the subject areas are varied, each class will work from the same Bible story and memory verse each month. Please consider each opportunity and choose carefully — we want you to stick with your choice the entire semester! We will do everything we can to honor each child’s first choice. However, some classes may fill up, so we are asking children to indicate a second choice.